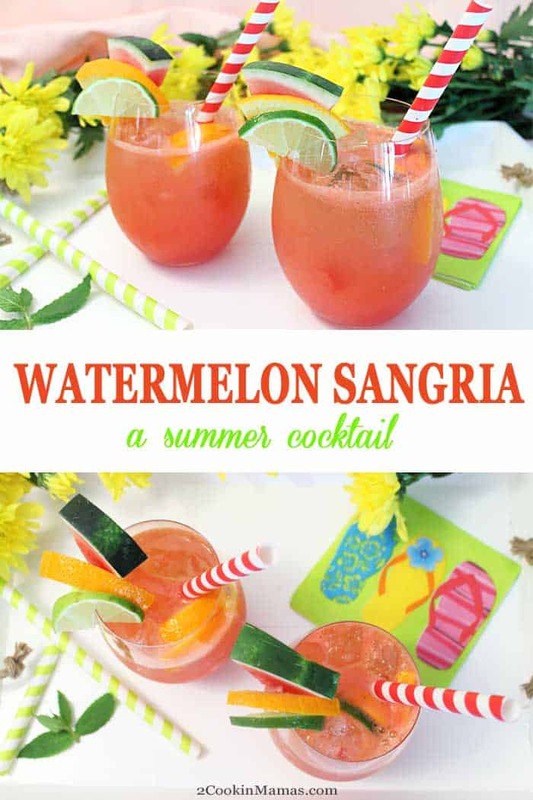 Summer calls for a cool cocktail like this refreshing Watermelon Sangria! 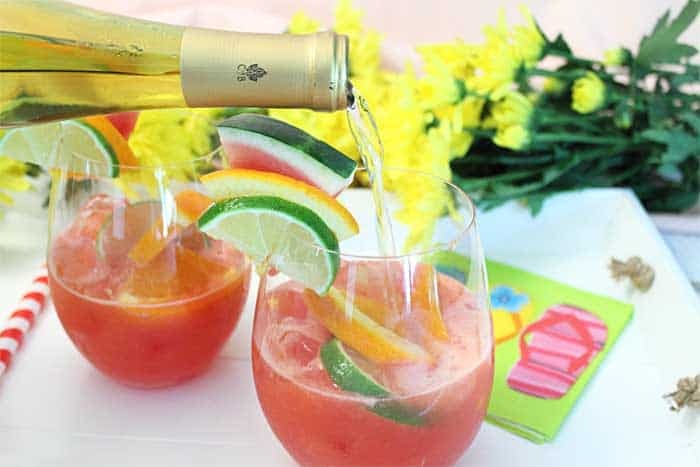 Just blend watermelon, limes, oranges & wine, then sit back and say ah! Perfect for backyard BBQs and 4th of July picnics. 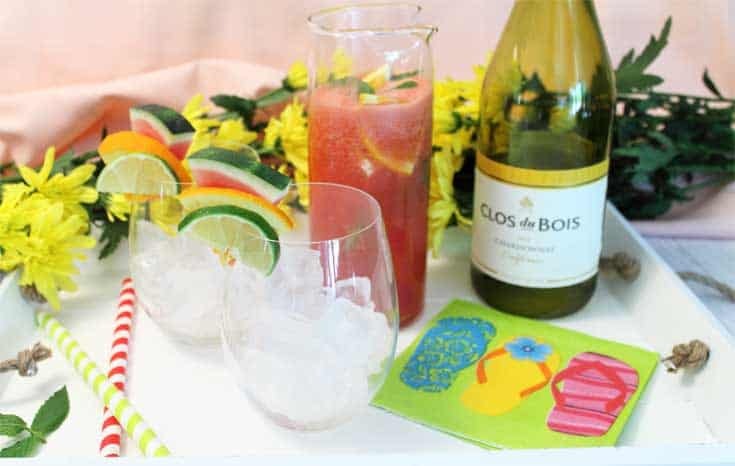 It’s getting close to the 4th of July and our summer vacation and all I can think about is cool, refreshing summer cocktails to help beat the heat. 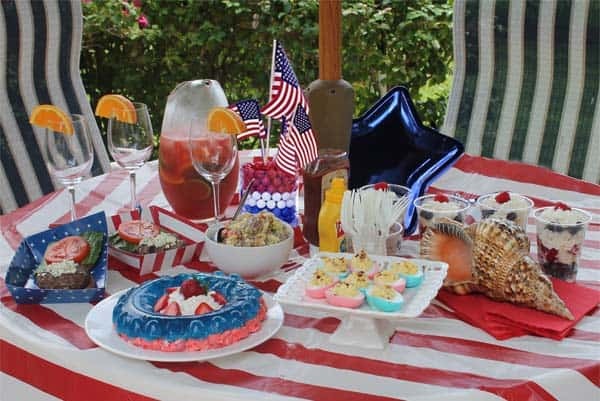 We usually have a big get-together with family for the 4th and grill outside, lots of good things, like hamburgers, kabobs and the usual hot dogs for the kids, and there has to be a refreshing drink! One for the kids, like our Pineapple Splash, minus the vodka of course, and one for us adults. 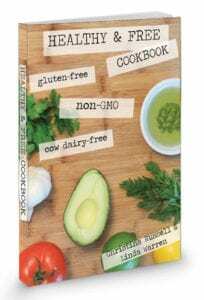 I’ve made pitchefuls of Sea Breezes, Mango Coladas (my husband’s specialty) and my famous Pineapple Coconut Mojito but I wanted something new this year. 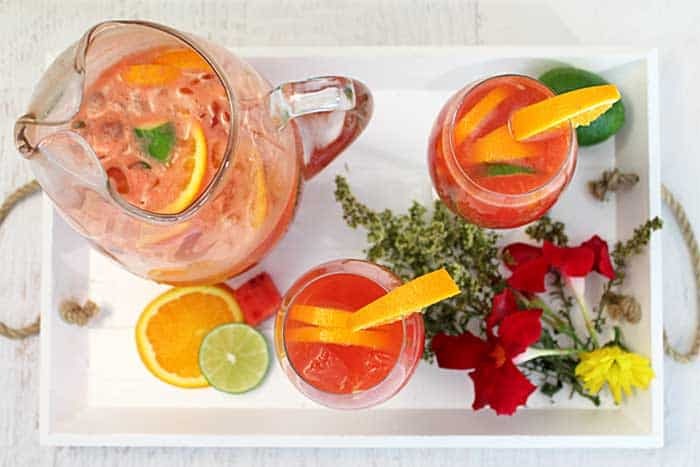 Enter this easy and refreshing Watermelon Sangria. 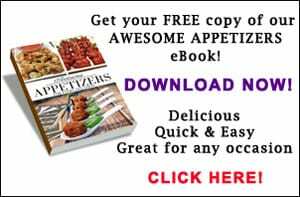 This recipe is super easy and can be prepped and mixed prior to everyone arriving. It can also be made two ways, one as more of a traditional sangria and two, more of a slushie variety. 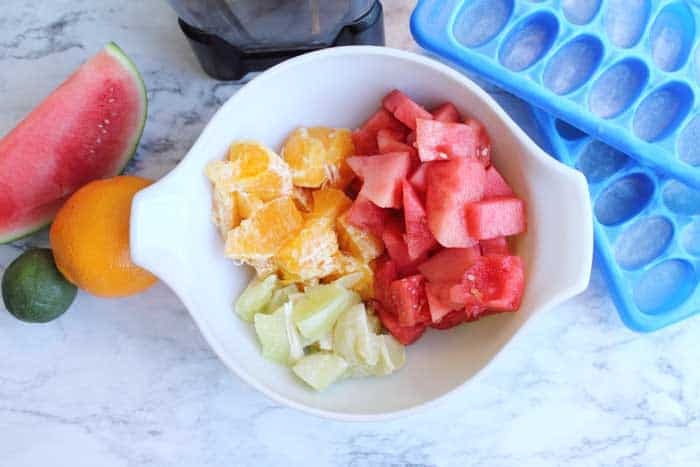 All you need to do differently is freeze the wine in ice cube trays and add to the blender with the cut-up fruit. First, cut or slice the fruit. Some of the fruit is peeled and cut-up to be added to the blender and some is sliced for adding to the pitcher. 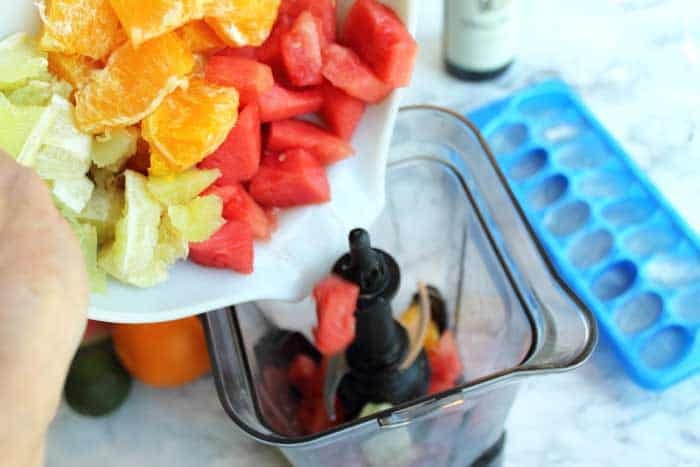 Add the peeled fruit and watermelon to the blender. Blend away! Isn’t that such a pretty color! Strain and pour into pitcher. Now add the fruit slices. If you are making a pitcher, add the wine here then let chill in refrigerator for several hours. If making individual cocktails, just refrigerate the blended fruit mixture with sliced fruit at this point. Add the wine for single servings when ready to serve. I serve mine on my back patio to relax after a hard day. Or I serve it by the pitcher on a full-up 4th of July table. 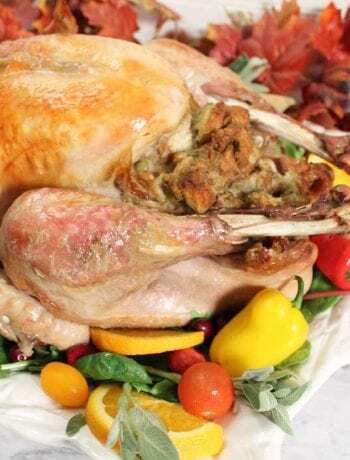 This recipe is festive and looks so pretty on the table and is almost healthy. I did say almost! Lots of fresh fruit, a little mint and, of course, wine. 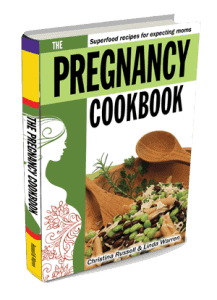 It tastes delicious and makes the more expensive ingredient, wine, stretch a little further. Note: For those that like juicing, I added a cucumber to our sangria but, like my husband, for those that don’t like that little bit of veggie taste, the cuc can be left out and the drink will be slightly fruitier and sweeter. Either way it tastes great! So here’s to however you like your cocktail! Enjoy & cheers! 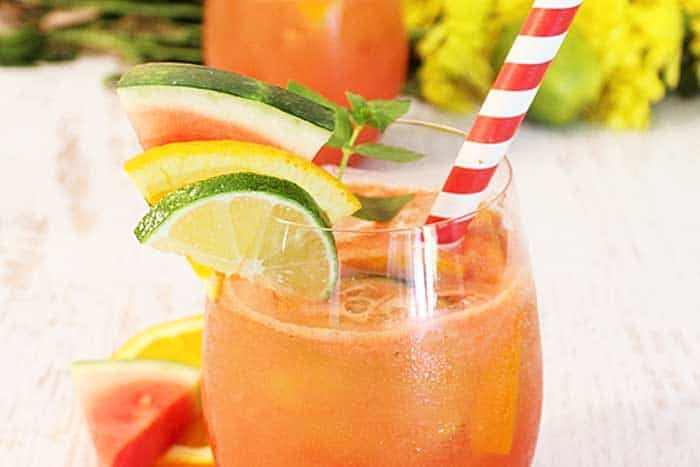 Place watermelon, 2 peeled limes, 1 orange peeled and cucumber, if using, into blender. Strain and place into large pitcher. Add wine and agave nectar, if using. Stir and taste for sweetness. Add more agave nectar to suit your taste. Add prepared slices of lime, orange and mint leaves into pitcher. Place in refrigerator for at least 2 hours. 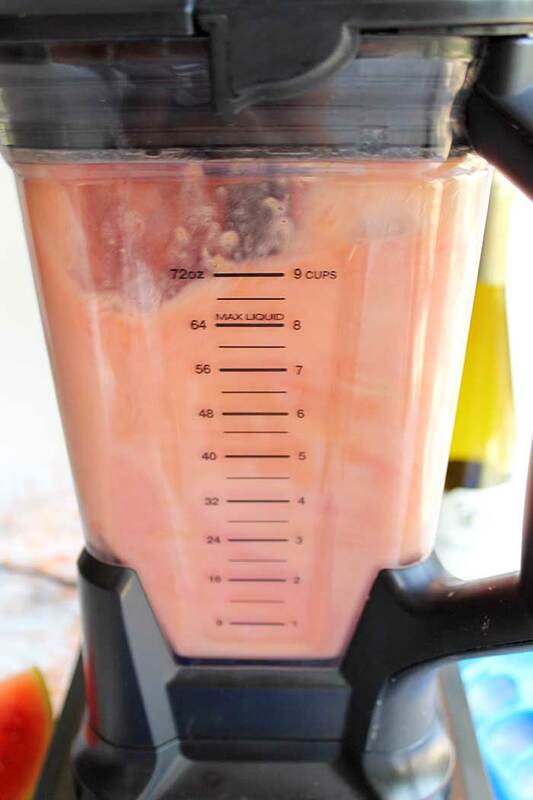 Note: Instead of making by the pitcherful you can prepare for just two people Pour blended fruit into a small pitcher, adding slices of fruit. Store in refrigerator. 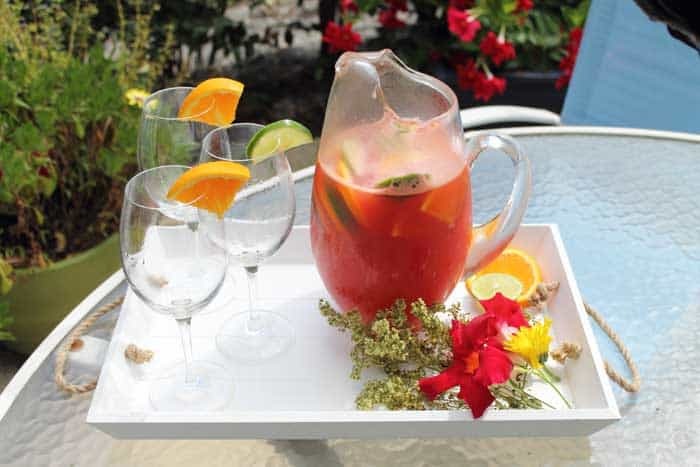 When ready to serve, fill each glass half full with blended fruit mixture then top with wine. Add garnishes. This recipe was originally posted on July 1, 2014. Photos and copy have been updated. This is such a great summer recipe. It’s so flavorful and delicious. Super refreshing! I totally agree! 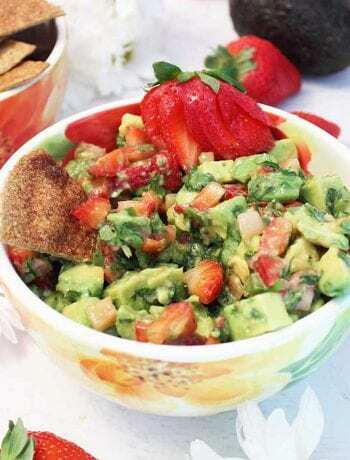 We serve this at all our backyard BBQs and picnics here in sunny hot South Florida. Omg YES! This is the perfect summer cocktail! Thanks Tayler! It sure cools us off during Florida’s long hot summers. 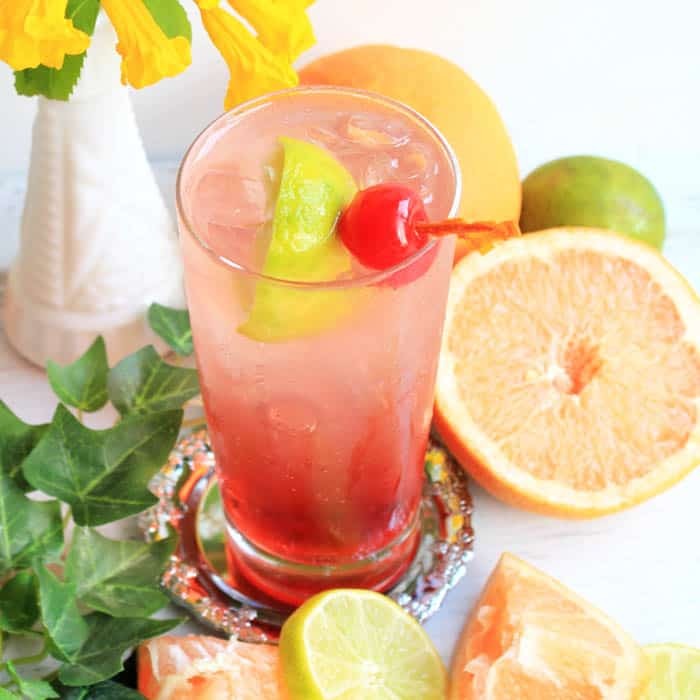 This sangria is such a fun twist on the regular sangria I make each summer. I love adding watermelon! It’s so refreshing and perfect for hot summer days lounging by the pool. You are so right! How I would love to be lounging by the pool right now with a glass of sangria in my hand. 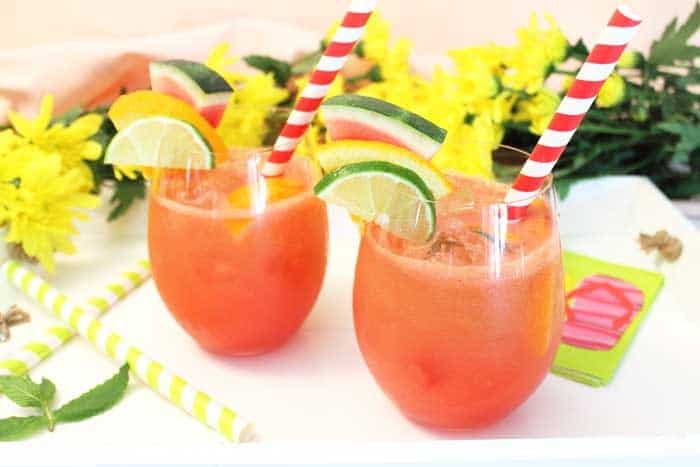 This is the perfect, light and fruity Summer drink!! Thanks Nellie! We totally love it for a lighter summer cocktail.